If you’ve been keeping up with NYCityGuys in the past few months, you know it’s no secret that we love Einhorn’s Epic Cookies! They were among our best memories from NYCC 2014, and we just can’t get enough of the adventures of the Royal Einhorn Force and the delicious cookies that go along with them! 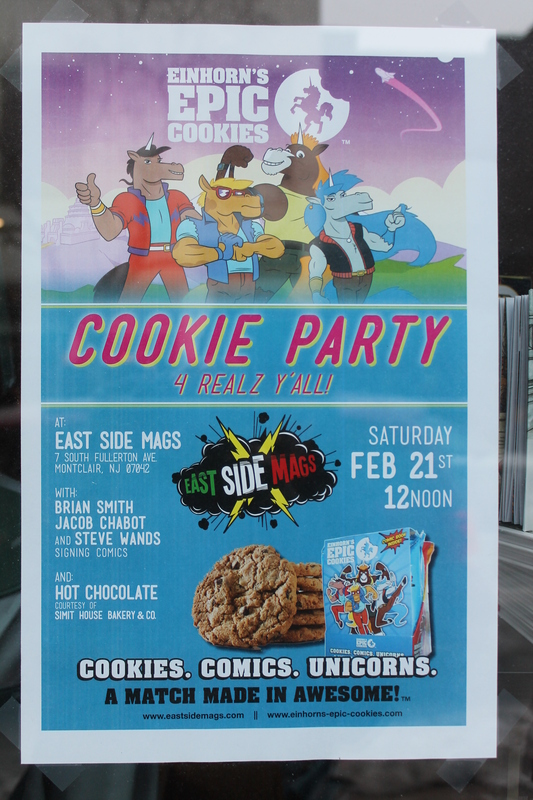 So it’s no surprise that when we heard that EEC would be hosting their first ever cookie party this past weekend at East Side Mags in Montclair, NJ, we made sure that we wouldn’t miss it! 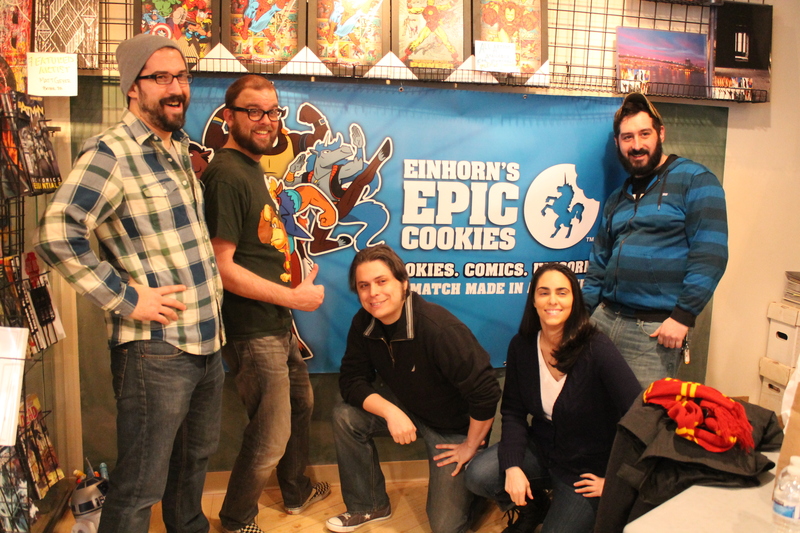 The party was an awesome fusion of cookies, comics, and fun (not unlike EEC’s cookies themselves!) With special appearances by writer Brian Smith (STUFF OF LEGEND, SPONGEBOB), Artist Jacob Chabot (MIGHTY SKULLBOY ARMY, HELLO KITTY), Colorist/Letterer Steve Wands (BATMAN, ATTACK ON TITAN), and Co-Creators Adam Staffaroni and Heather Einhorn, this was an event we won’t soon forget! 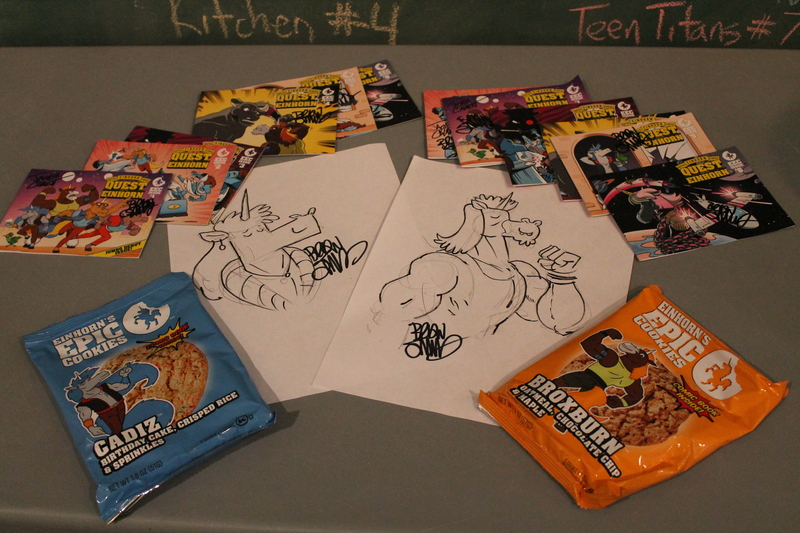 Naturally, we brought along our full set of Quest For Einhorn comics to get signed, but we also picked up some sketches of our favorite members of the Royal Einhorn Force, as well as the cookies to go along with them. Check out the gallery below for more photos from the event, and stay tuned to NYCityGuys for the latest about comics, cookies, and more! Previous Entry Hot Package Season 2 Premieres This Month on Adult Swim!